In order to be able to launch a satellite from the Areane rocket unobstructed into space, the nose cone section, together with the side shield, have to be separated from the main rocket immediately before the release of the satellite. Simultaneous and controlled activation of a series of preloaded springs, provide the propulsion force for the separation of the nose cone and side shield. It is of vital importance that the section separates itself in an absloute linear motion from the main rocket, with-out any non-linear tumbling movement that could cause damage to the satellite. 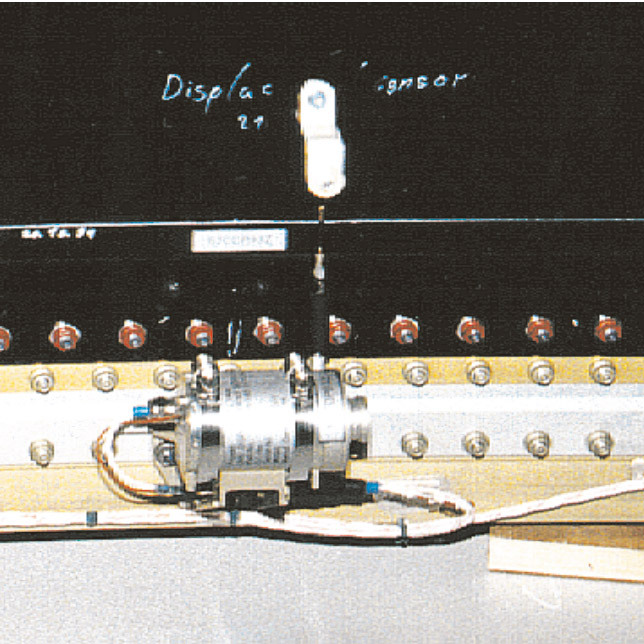 The separation movement is controlled by 3 Draw-wire sensors mounted on the booster rocket.